Jayz wrote: Ultimately this topic will cause many members to eat more pizza over a 30 span, I like it. 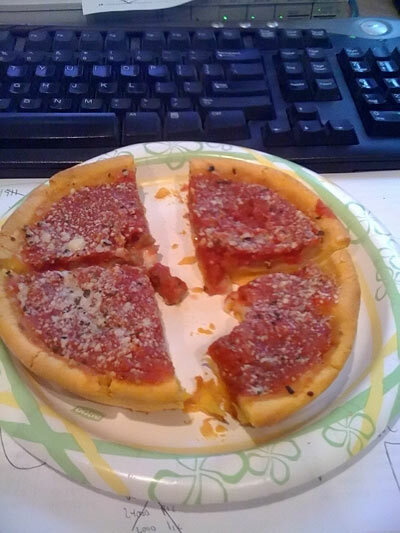 Reading this thread made me get sausage pizza for lunch today! 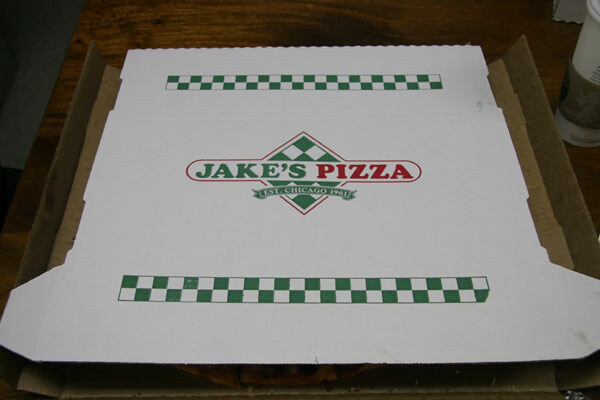 For lunch, at the urging of one of our other partners, he did go 'off-road' a bit and ordered the Mexican Pizza from Jake's Pizza in Northbrook. 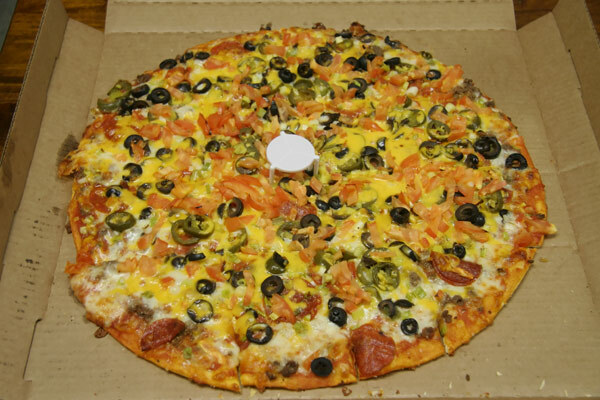 Of course, in its standard issue, the Mexican doesn't come with sausage, so he ordered it with pepperoni . . . 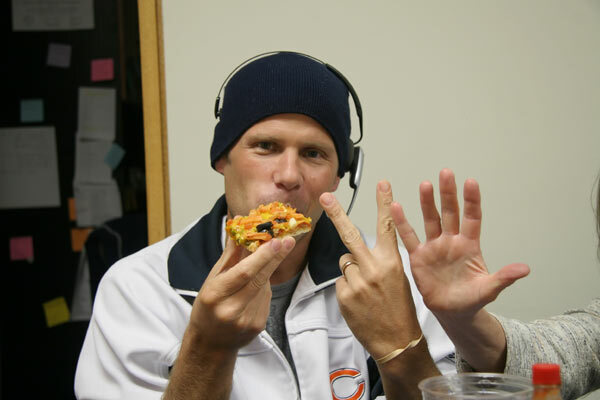 He said that this pizza was so bland and flavorless, he was actually grateful that he had to add the pepperoni to comply with the terms of the bet. Apparently, eating nothing but pizza for 7 days has caused him to grow a 3rd hand. The middle four pieces are the four pieces I ALWAYS want. I love those things. Yum. I dunno, Ronnie. I see a little fatigue in his eyes. gleam wrote: The middle four pieces are the four pieces I ALWAYS want. I love those things. Yum. LOL! I will save them for you. aschie30 wrote: I dunno, Ronnie. I see a little fatigue in his eyes. From your keyboard to you know who's ears. Is anyone taking action on this? I like Pizzaboy going away... he could probably do 2 months. These last pics are making me confident of my pick of this lasting no more than 10 days. I can see some weakness showing in his eyes. I still say the novelty will wear off. It may be close, but there's no way he makes it. If you want to try psyching him out, you might want to start downplaying the whole thing. Maybe the less attention he gets, the less fun it will be for him. If he's still going by day 20, just start ignoring him completely. jimswside wrote: These last pics are making me confident of my pick of this lasting no more than 10 days. I can see some weakness showing in his eyes. I agree. 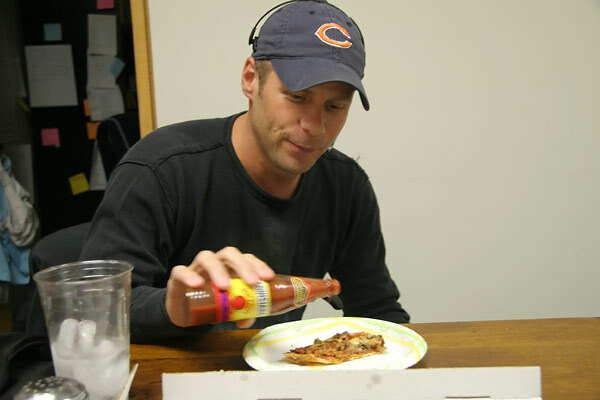 When a man with no palate starts compalining about his pizza being too bland, that's a sure sign his facade is cracking. I'd be happy to take some action on Ronnie's side of the bet. I disagree. 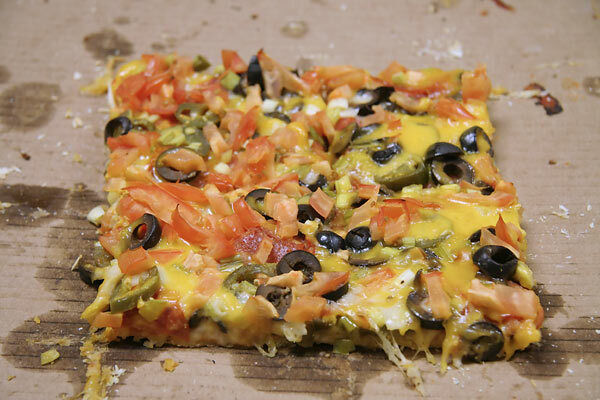 The Mexican pizza is one that he probably never orders. In fact,it was suggested by one of Ronnie's partners and not his idea. I predict he'll be back in the groove with his next sausage one. Just as I was walking out the door, I ran into our boy tonight at Prairie Grass Cafe. He was in high spirits to say the least and took a seat at the bar -- with his wife -- to have some dinner. I sat and chatted with them for a few minutes and as long as I had the camera with me (I'd gone directly to PGC from the office), decided to take a few shots. However, what I witnessed was not particularly encouraging for me . . . Yes, that's him getting ready to dig into his second pizza just minutes after snarfing down the first one. For all I know, he ordered a third one after I left. I couldn't bear to watch it any longer. 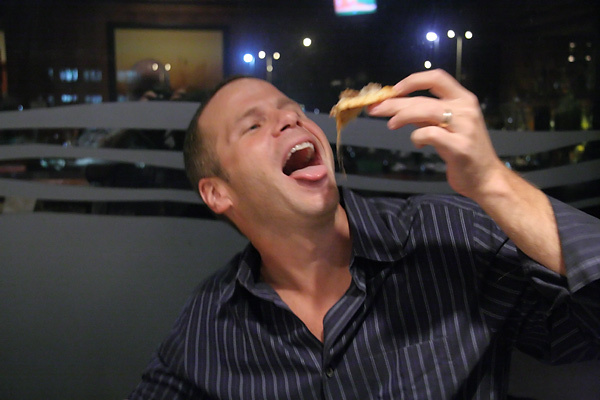 Frankly, he's pizza-eating beast! Goodness, this man is no mere mortal! My prediction? November 1, his first meal after collecting, he orders sausage pizza. Blown Z wrote: Goodness, this man is no mere mortal! Well, the pizzas are appetizers with pretty thin crusts but they're still fairly substantial in their own right. turkob wrote: My prediction? 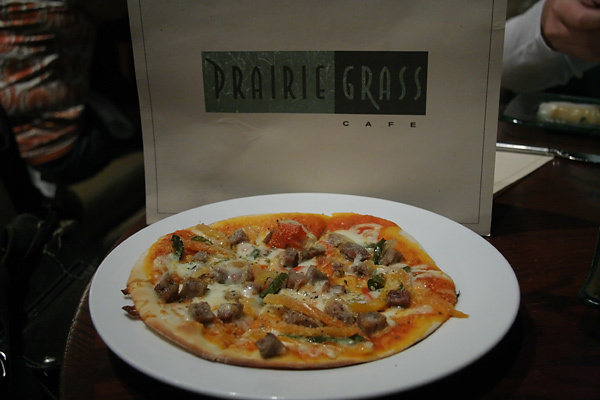 November 1, his first meal after collecting, he orders sausage pizza. Sadly, I think you may be on to something. That's just SO wrong, on so many levels. However, Very entertaining. Last edited by MikeW665 on October 8th, 2009, 8:57 am, edited 1 time in total. The most dangerous food to eat is wedding cake. I think you got him. Those things pictured above are not pizzas. No Bears apparel. A sign he could be losing his composure. JeffB wrote: I think you got him. Those things pictured above are not pizzas. Heh . 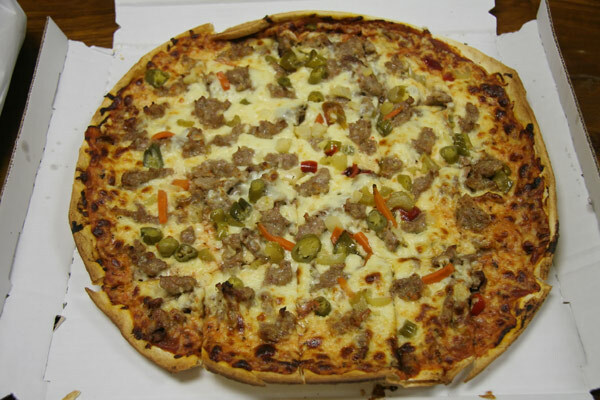 . . they meet the 'crust + cheese + sausage' requirement, so they count. That said they're certainly on the lighter side. Maybe I should have laid out tighter parameters. It certainly would have been more monotonous for him if it had just been traditional sausage -- and only sausage -- on every pizza. Oh well, too late for that now. teatpuller wrote: No Bears apparel. A sign he could be losing his composure. He probably had some signed Urlacher boxers on. Breakfast this morning . . . This interesting thing about this pizza is that last night being 'date night' for our boy and his wife, he knew he might be hung over this morning. So, as he was leaving the house last night, he put this frozen pizza in the oven and instructed the babysitter to take it out when it was ready. 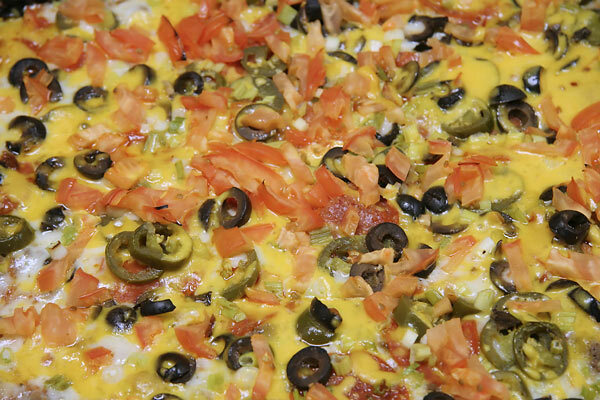 Thus, this morning when he stumbled out of bed, his Gino's pizza was ready and waiting for him in the fridge. It may not be pretty but it certainly was thoughtful. Btw, I've been told that he's not allowed to wear any sports team garb on date night. ronnie_suburban wrote: Breakfast this morning . . .
Has a financial interest in winning? Check. Has personal pride on the line? Check. Is actually taking the time to plan out his pizza eating ahead of time? Checkmate. This guy is an unstoppable force. I just felt moved to chime in here. This is the most entertaining thread I have read on the site. It beats out all the phone reservation debates, meat jello shots, and special food for food blogger bruhahas. Well done, Ronnie. Incidentally, put me in the camp now betting on Pizzaboy. A week ago, I would have been with Ronnie, but that have-the-babysitter-cook-the-frozen-pizza-and-I'll-eat-it-cold-for-hangover-breakfast move tells me this man could probably live like this forever. On November 1 I will applaud him. MelT wrote: On November 1 I will applaud him. I'm thinking LTHforum party in Pizzboy's, soon to be Pizzaman, honor. Where should we hold the party, a pizza joint of course. 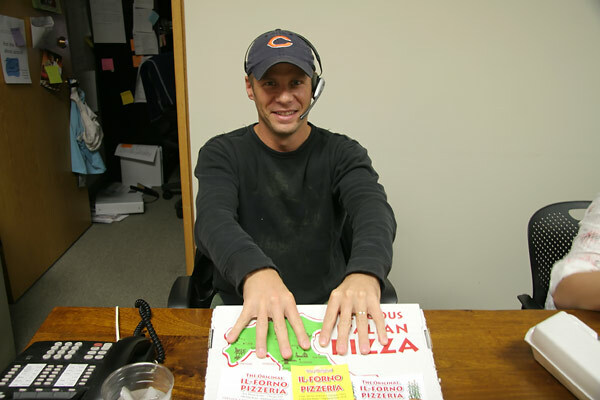 I believe Barnaby's in Northbrook is one of Pizza Boy/Man's favorites. Applaud him? On Nov. 1st we should hoist him on our shoulders and parade him through the streets for the ticker tape parade he so richly deserves. But instead of ticker tape, slices of pepperoni? I may be my own worst enemy. Since I get out to eat a lot more than our boy, I know many more nearby places than he does to get pizza. Today, I shared some of that knowledge with him and the result was a bit surprising (which I will explain below). 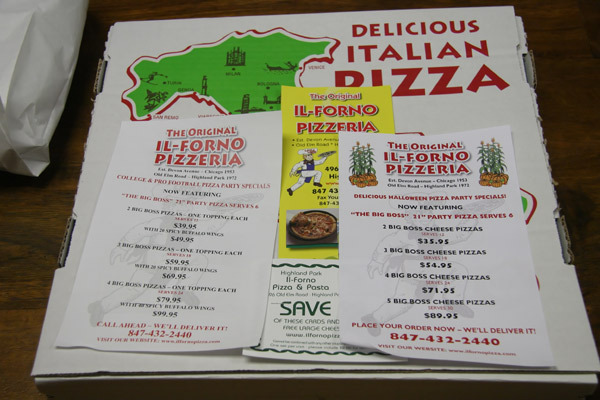 Lunch was delivery from The Original Il Forno Pizzeria in Highland Park . . . 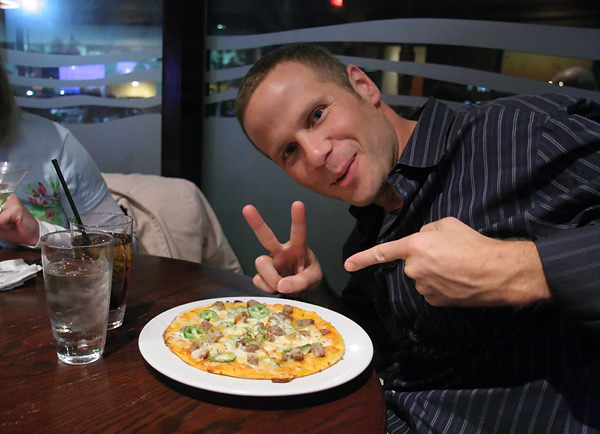 He absolutely loved this pizza, which he'd never had before -- and I have to agree that it was quite good. I had a couple pieces. The crust was nicely-thin, and crispy around the edge. 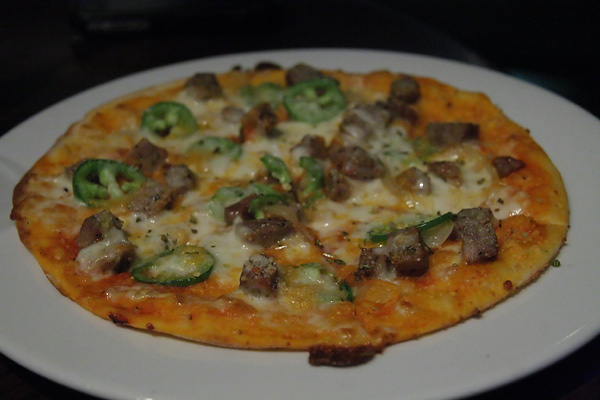 The toppings were tasty, too, especially the hot giardeniera, which was really hot. In any case, I ordered a large, mainly so I could have a piece or 2 but after I had a couple, he actually started hoarding it. First, he told me I couldn't have any more of it. He eventually relented, telling me that I could only have some of the middle pieces. Even though he was full, he liked this pizza so much he wouldn't share it any more of it. He was literally counting the number of pieces he was going to have left for dinner. The good news was that he ate a lot of pizza, even though he didn't feel very hungry when it arrived (he'd eaten the entire Gino's pizza for breakfast). I can't tell if this series of events makes my chances to win better or worse. But I will say that friend to friend, I was at least glad to turn him on to a new (to him) place. G Wiv wrote: I'm thinking LTHforum party in Pizzboy's, soon to be Pizzaman, honor. Where should we hold the party, a pizza joint of course. 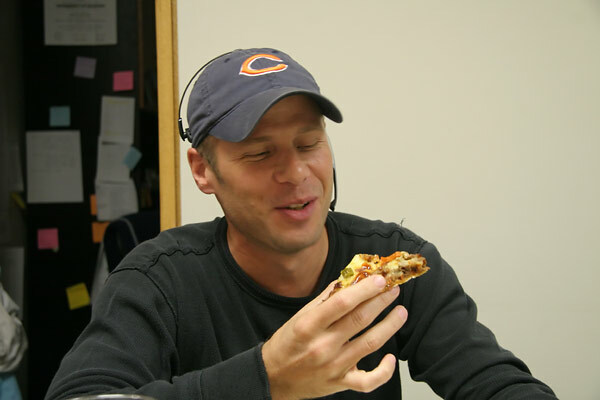 I believe Barnaby's in Northbrook is one of Pizza Boy/Man's favorites. Hey!! Who says there's even going to be a victory party for him?! But should he get through the next 22.5 days (which, I will admit seems likely at this point), I think it's only fair to let him pick the venue for a party. Come to think of it, I doubt he's ever been to Burt's.